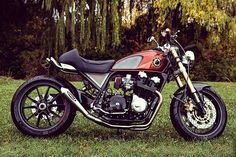 Here are Bike EXIF's custom #motorcycles of the week! Which one is your favourite? A panhead from superstar builder Cherry's Company, a BMW R60 built by an NPO, and a Kawasaki Ninja that's part scrambler, part streetfighter. It's that time of the year again! Find our range of winter #motorcycle gloves here. 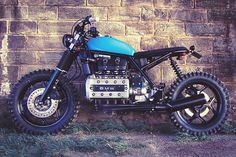 Kevil’s Speed Shop describe themselves as “The UK’s premier custom BMW builder, producing top quality, one-off commissioned BMWs", and this 1981 BMW R100 is plenty of evidence to back up their claim!